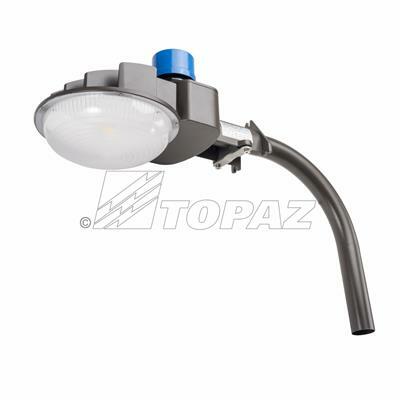 Topaz’s 40W LED Dusk-to-Dawn fixture with dark bronze powder coat finish, provides security lighting to walkways, areas of egress, parking areas, gathering spots and anywhere general area lighting is needed. The LED Dusk-to-Dawn fixture operates at 120-277 volts and can mount to walls or sealed junction boxes. 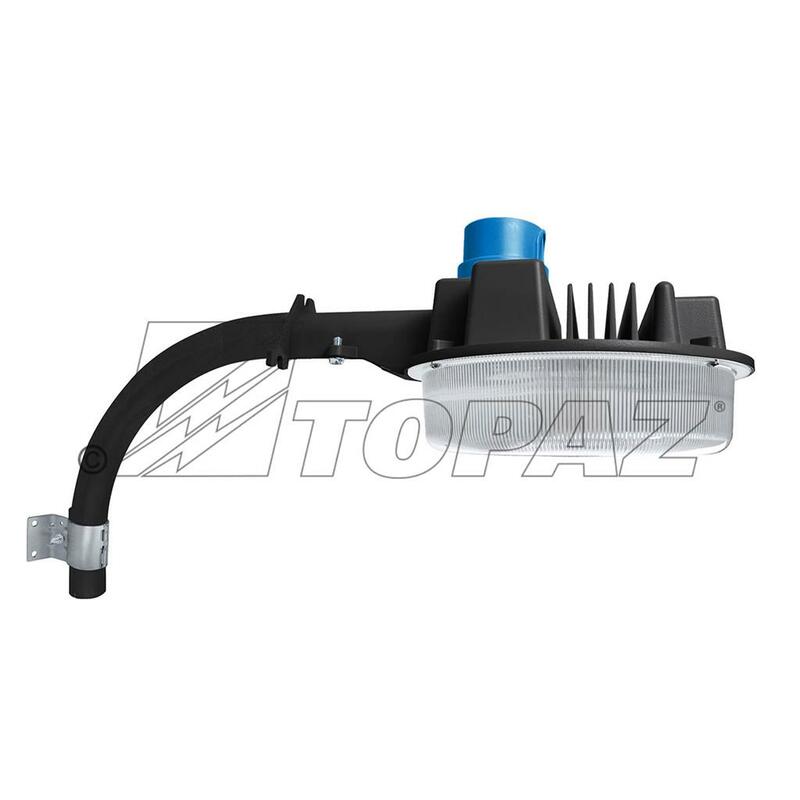 Made of die cast aluminum housing with integrated thermal management and impact resistant prismatic polycarbonate optical lens makes it ideal for outdoor lighting applications with mounting up to 15 feet and in areas that require a wide distribution of light.